Hannah Hess graduated from Marburn Academy in 2017. Hannah has dyslexia and a processing delay and entered Marburn Academy in the 6th grade with significant academic delays and low self-confidence. During her time at Marburn, Hannah flourished. She fully embraced the Marburn culture and commonly refered to our community as her “Marburn family.” Very involved at Marburn, she was a member of the Cross Country team, a coach for Girls on the Run, and was inducted into National Honors Society, among other things. 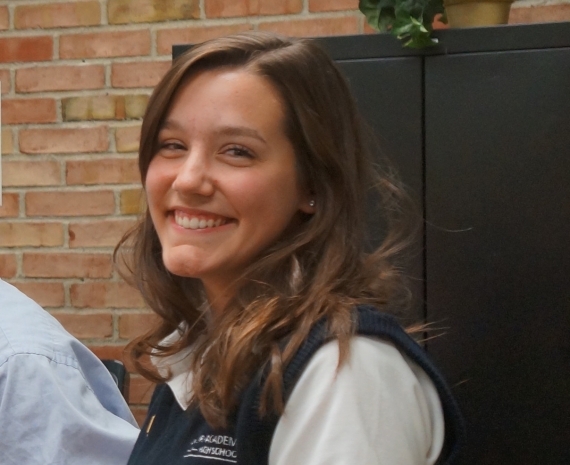 Hannah is currently attending Hope College and pursuing a career in education.